Insecurity, misinformation and fear are complicating the latest outbreak of the Ebola virus in the eastern region of the Democratic Republic of Congo. The result has been a deadlier outbreak than the one that occurred in DRC earlier this year. 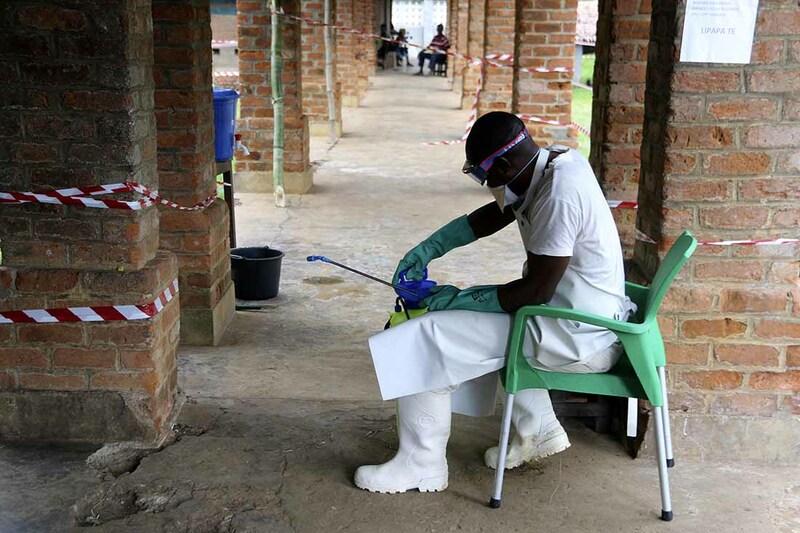 The World Health Organization reports 92 people have died and 137 cases have been identified since the outbreak began in the North Kivu Province August 1. It has impacted the health zones of Mabalako, Beni, Oicha and Mandima the North Kivu and Ituri provinces. IMA World Health and its local partners have been monitoring the situation and working to prevent the disease’s spread since the outbreak began. While progress is being made, an overwhelming need remains. IMA continues to raise funds to provide personal protective equipment for community health workers who are caring for people who have gotten sick. Funds raised will also help IMA and local partners to train health workers how to identify cases and prevent disease transmission, as well as share lifesaving information with communities at risk. Donate here. During this critical time, communication is key. The Ebola virus is extremely contagious and often fatal – but it can be prevented. Educating and empowering health workers and people in affected areas will help to prevent the spread of this deadly virus. It will also support long-term efforts to build the resiliency of local health facilities. Since 2000, IMA has worked alongside the Congolese government, donors and an array of local and international partners to revitalize the country’s health system, fight diseases and improve access to health care. This is the 10th reported outbreak in DRC since the virus was discovered there in 1976. IMA has worked closely with the Ministry of Health, faith-based health facility partners and networks, civil society organizations and international health agencies to confront and control nascent Ebola outbreaks since 1995. IMA World Health is a faith-based nonprofit that helps developing communities to overcome their public health challenges. Based in Washington, D.C., the agency has a presence in six countries addressing an array of public health issues.